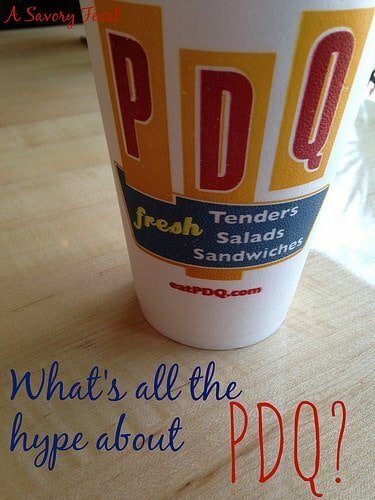 What’s all the Hype about PDQ? 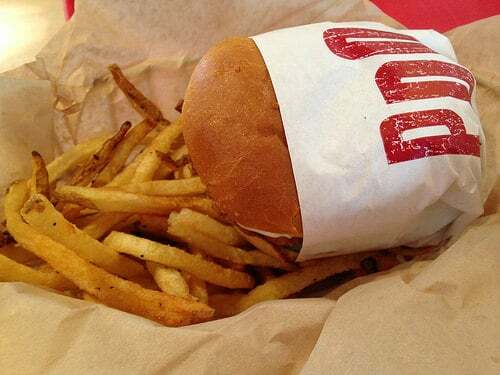 Have you heard of PDQ? It’s a new fast casual restaurant that is rumored to become one of Chick-fil-A’s biggest competitors. 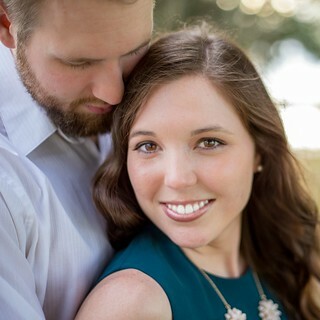 They have locations in Florida, Alabama and North Carolina, with new locations opening soon. I had heard that they would be opening a new location just 10 minutes from my house. Their other location in my area is a bit of a hike from my house, but I decided to go check it out and see what all the excitement is about. Just how good was it? So good that I went twice in one day! I had been at the beach with my friend Paige when we decided to get some lunch on the way home. Another friend had been telling us about PDQ that morning, so we decided to give it a try. I was blown away! Later that day, I was telling Andrew about it and he wanted to try it so badly that we went for dinner that night! 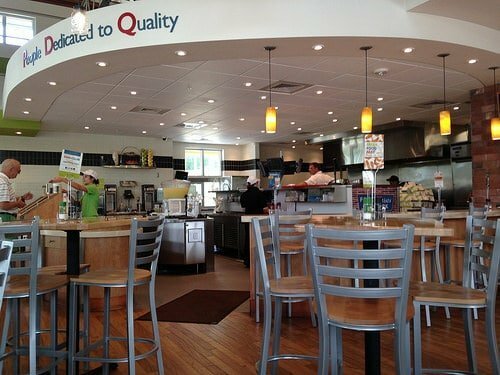 PDQ’s South Sarasota location is a super convenient location for beach goers or mall shoppers. 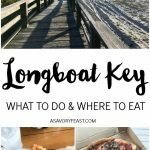 I can’t wait for their new location to open in Bradenton, though! 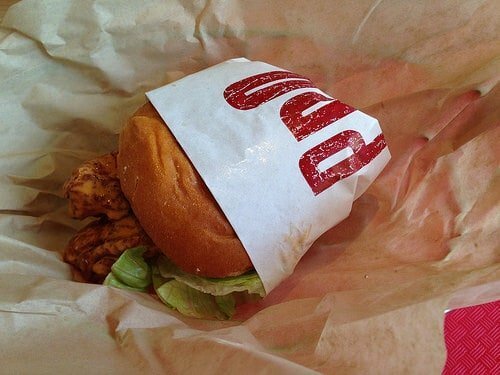 For lunch, I tried the Spicy Buffalo Tenders Sandwich. So far, this is my favorite thing on the menu. PDQ makes all their own sauces fresh each day and the buffalo is one of the best I’ve had! Their chicken is the real deal and cooked to perfection. For dinner, I had the Crispy Chicken Sandwich. This is the closest thing to Chick-fil-A’s sandwich I have ever had, but it definitely is no copycat. The serve it on an “egg bun” and layer on tons of toppings! Their fries were the only thing that didn’t blow me away. They were good, but nothing special. Andrew got me started on dipping fries in ranch dressing. He does it everywhere we go! PDQ’s ranch dressing is unbelievable! It has a little bit of a spicy kick to it and was perfect for dipping our fries in and spreading on the Crispy Chicken Sandwich. And don’t forget about dessert! 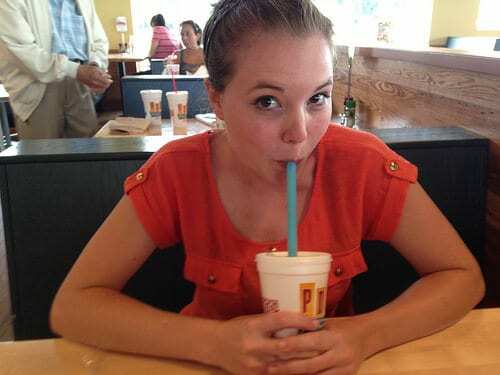 PDQ’s milkshakes come with a HUGE straw because they are so thick and creamy! My Chocolate Peanut Butter Milkshake had chunks of real peanut butter cups in it. Andrew’s Key Lime Pie Milkshake tasted like they took slices of key lime pie and blended it! The biggest thing for me was the atmosphere. Paige said, “It’s like being at someone’s house.” The whole restaurant is very open and inviting. They had a station right at the front counter where they squeeze fresh lemonade. The whole kitchen is open and visible, which is something I always like. The people working there were fantastic, too. When I was ordering dinner, I told the girl I had just been there a couple hours ago. She laughed and said she comes on her days off, too! They were all very nice and helpful. They got our food out to us super fast as well. As I mentioned before, PDQ makes all their own sauces and dressing fresh each morning. I only tried the buffalo and ranch, but I can’t wait to try more! It really does make a difference, the sauces have great flavor and taste really fresh and homemade. Is there a PDQ in your area? 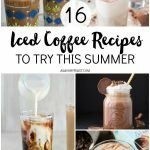 Let me know what you thought of it by leaving a comment! I did not receive any compensation from PDQ for this review. All opinions are my own and do not reflect the views of the company. I’m a huge fan of Chick-Fil-A, so I hope I get a chance to try this place someday! I live in Arizona, so it probably won’t be soon, but maybe I’ll travel near one soon. I hadn’t heard of PDQ, but maybe I should see if there’s one near me! I think there is one in Jacksonville! I was looking at the list the other day. 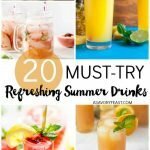 You should try it! They don’t ave one of these in my area! I will have to wait until they come to So Cal! So glad to find a fellow PDQ lover! 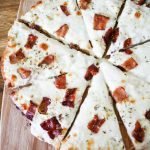 I tried the Creamy Garlic the other day and it is so good too! You must live near me! 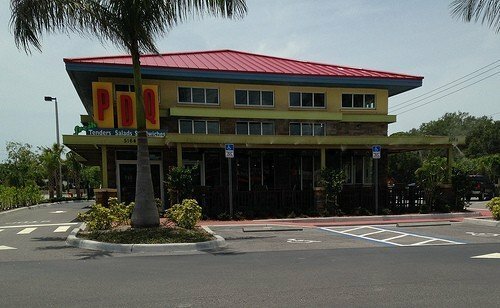 I’ve just heard about the PDQ’s coming to Bradenton and I didn’t know what they were. Thanks for sharing, now I can’t wait to eat at PDQ. I Love PDQ!!! I am from NC and we had one open up a few months back! I love the ginger blueberry dressing on the grilled chicken salad! Amazing! I have been wanting to try their salads! Thanks for the tip. And when you do, make sure you get the Blueberry Ginger Vinaigrette dressing for it! You will be hooked.